What are you talking about Beast? Sarcasm? I just said my order does say USA. And, where in the OP or the order form does "USA" even appear? I'll read *your* fine print, bro? I dunno, that seemed better in my head. About 1500 keycaps, + ~$110 to Vietnam... May I have an explaination? mine jumped by about 70 over bucks. I lowered the number of blanks I purchased and it went down to a 34 bucks increase. International order. Seems like the number of keycaps does matter. Original count, around 200 caps. After lowering my order, 15x caps. I didn't want to decrease my order if I could help it, but more than a 40 dollars increase in shipping for 40 odd more blanks just didn't make sense. 34 is still acceptable to me, though a little higher than what I expected. Read it bro. Got USA in the address bro. Still wondering where $20 extra is going bro. Brobably to cure Bro's disease, brah. should I keep any of the mod kits? 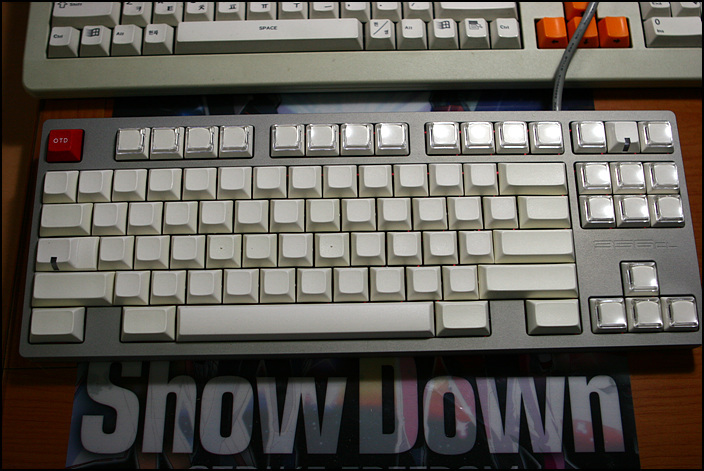 I'm iffy about them because the mod coverage by TKL Plum is pretty good, and the mods are only in brown (and lime). So with a bit of trial and error and a spreadsheet, I've discovered that the cut-off point between ~$30 shipping and ~$60 shipping to Canada is at exactly 158/159 keys respectively. This is assuming that all keys (including spacebars) count as one key, and that I haven't miscounted the number of keys in the kits I ordered. Feel free to correct me if I've made a mistake here. Again I'd like to give a huge thanks to Matt3o for his excellent GB software that allows us to figure these things out without pestering him too much! what better than a good dose of forum flame in the morning when you wake up? - shipping is included! We are using flat box rates that are pretty expensive but they are tracked. - cancelled orders. someone may not pay and a tier might go down. this is unfortunate but we have to cover that. There's no profit for me nor samwisekoi. If we end up with more money than expected (close to impossible) we are going to reinvest in the community (custom keys, SP molds for everyone to use, donations to GH/DT, whatever). The algorithm to calculate the final price is pretty complex and takes into consideration not only your order, but your order in a whole. This means that I'm redistributing small expenses through all orders. The % of redistributed amount is minimal, the bad part is shipping. I'm perfecting the algorithm and final cost may lower. For example I just checked Canada shipping rates and they are slightly lower (20/41 instead of 24/60), so I'm going to rectify that. Also I've been said that small box fits 170 keys only but others are saying that it can fit more. So we have to verify that. Please be patient, don't flame, we are not making a profit on this, we want all to be happy point me to what you think is a wrong value, I'll check it out. Wait before cancelling your order until the prices are frozen. Matt3o this is essentially Geekhack to a tee. But like all other GB's this is only the beginning of the pricing structure, hence more refinement is required. 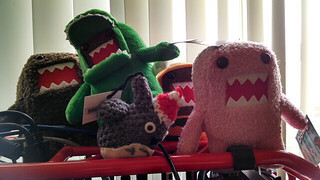 I fully expect to pay heaps for it, hence I'm not going anywhere because where else am I going to get these babies? Until when can we edit the order? I'd say tomorrow night GMT (we also have to get the final quote from SP). At first it sounded like much but considering it includes $60 for shipping I'm fine with that. 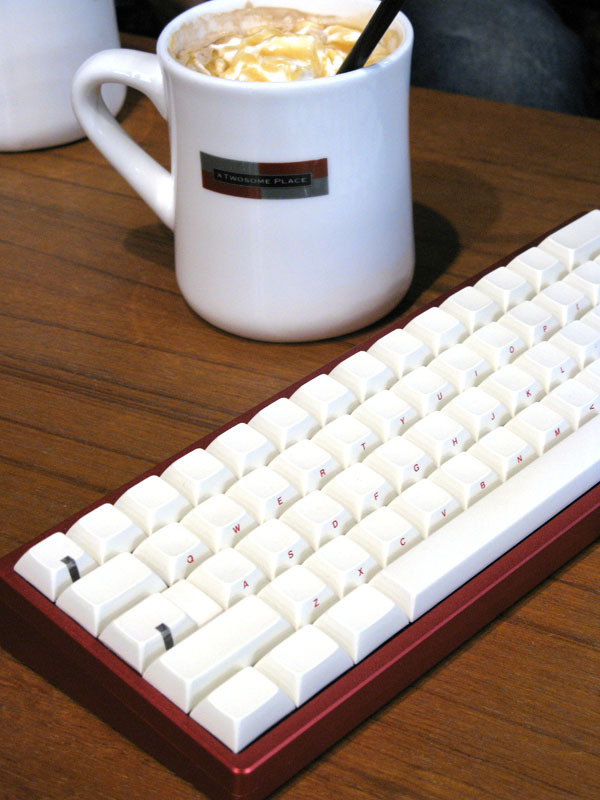 iirc OTD made a DSA set with stepped caps lock with window in DSA profile, any reason why its in DCS? Are you sure it was DSA and not SA? SP told me that they don't have tooling for off center keys in DSA. So left stemmed stepped capslock will be in DSA and not DCS profile? I need a release from the current tooling owner... crossing fingers. there would be an alternative... have everyone pay a fixed rate of $27.30 for shipping. I know this is controversial so I didn't implement that. My order bumped up a bit (maybe $20~) and I'm fine with it. Not a big deal. I've set a small box to 200 keys (of various sizes) and updated shipping to Canada. Please review, this is hopefully very close to the real thing. Consider that you'll have only 1 week to pay, if you think you can't make it, cancel your order now. My suggestion, especially for international orders, is to take as many keys as possible until you see a big bump in the final cost. The bump is most likely due to shipping expenses. Of course if you can merge orders with one or more friends it's easier for us and cheaper for you. But payment must come from just 1 paypal account. PS: the system to calculate shipping is pretty complex if you want to merge two or more orders PM me and I'll help you out. Anybody from Germany with up to only 100 keys who wants to combine shipping? All good here matt3o! Forgot I almost doubled my order and it wouldn't fit in one box. Sorry about bumming you out first thing in the morning. I will get around 130 keys. Would it be cheaper if you send all keys for germany to germany and we redistribute it here? I think that was a "yes". Seriously, you have no idea -- and neither did we -- how complicated the shipping and cost calculation really is. Over the past several days, Matt3o, me, more experienced GB-sponsors and not one but two tax professionals have been working on these calculations for something like six hours per day. Then Matt3o puts it into code and the results pop out. We don't have the DSA keys here yet (obviously) but we have lots of other keys. And we have a few DSA keys. So we weighed them to estimate that, I personally placed sample volumes of keysets into actual USPS flat-rate boxes, and did everything we could do to ensure that (a) everyone would actually get their keycaps and (b) the organizers wouldn't be left with a big financial hole. Also, the order form and many of Matt3o's posts contained the message that the numbers were the raw numbers from SP before any of the other costs. Since we know that PayPal adds fees, SP adds sorting fees and freight, packing supplies aren't free, some people will have to pay Sales Tax, and somehow the keycaps have to be sent around the planet, perhaps it was a mistake to use a lower-than-possible cost in the pricing page. This exposed all of the actual extras that make this non-profit event seem to be expensive. Also, I've already stated that we have to work out special costing and payment for large orders, including, for example, vendor shipments to Vietnam. We will do so, but in the meantime, the pricing calculation treats those as enormous personal orders. They won't be. This is apparently the downside of transparency. Nobody on this end is trying to make money or lose money. We are trying to get spiffy keycaps custom-made and shipped to enthusiasts around the globe safely and quickly. Sorry for the rant and good morning all! Kit 7: 1.0 mods -- only need a few keys but will buy the whole set. I need to be able to get all of them at one time due to the funky nature of the Deck Legend layout. Maybe multiple people want to let go of some stuff? My keycaps orders breached the small flat rate box tier even just ordering 2 sets. 1. How many keycaps can we fit into the Medium flat rate box? 2. what is the shipping cost for Medium Flat rate box? 3. Can you please give me some extra time to modify the orders as consolidating the orders might take a while from my side? dudes and dudettes: it turns out that stuff costs money. please don't flame your kindly local GB organizers. thanks buds! How many keycaps can we fit into the Medium flat rate box? Can you please give me some time while I consolidate the shipping from my countrymen so that I can save a bit more on S&H? 200 keys is the approx limit. But also the total amount spent is part of the equation. Orders will be final tomorrow I believe. Monday if SP takes time to confirm the final quote. can't help you then, sorry. ask some US fellow. I am not very clear with the shipping options being offered here and I hope to obtain more information to make a better decision for this. So forgive me if I am sounding rude, but since you want to finalize the orders quickly, I hope to get a fast response from you as well. Correct me if I am wrong, but from what you are saying, anything less than 200 keys will ship in a small flat rate box. I understand that there are huge vendor shipments that are considered exceptions. But what about anything above that for personal orders, what is the shipping option and cost, is it the same option if I order say... 5 sets or 10 sets ? Also, can you please help to provide the time when no more change in orders are accepted. Correct me if I am wrong, but from what you are saying, anything less than 200 keys will ship in a small flat rate box. What about anything above that, what is the shipping option and cost, is it the same option if I order say... 5 sets (600 keys) ? the max you pay is $60, but samwisekoi has to sort some special scenarios (vendor's and big orders to some exotic locations). I'm willing to close this Friday 23:59 GMT. But SP is closed tomorrow so it is unlikely that we are going to make this until Monday. People in Calif will have to pay tax? Well, that's the first. The sales tax here is what? 9 percent? Thanks to Matt and Sam for all of this effort! I think the transparency is great but some may not be used to it. Most of the organizers bake some of these costs into the price of the keys. Matt showed you what the true cost of the keys are. Now you know about all of the other expenses that GB organizers have to deal with. We're all in this together and it is good for everyone to understand where their money goes and why. Once this round is over, it will be easier for Matt's software to guesstimate a final price to a given location and give people a better idea of the various overhead costs. Hopefully, this will avoid sticker shock in the future. Next time (if there will ever be a next time) I'll include all the expenses from the beginning. That's for sure. I originally wanted to add to Tenkeyless and either sell most of the keys or use them for my poker, but they add 20+ dollars in shipping and I probably don't need them. You're doing a great job, Matt, don't sweat the crying. So if this closes to order modifications this Friday or Monday the 25th then when will the payment deadline be? I'm waiting for a release to use the stepped 1.75 key. I believe this is very important and worth waiting a couple of days for it. There might be some very small price variations in the next few days (in the +/- $2 range, so I hope this won't be a problem). Please note the final price is taking some time because we are trying to make things right. I could have blindly added shipping based on keycaps number, instead I'm making an average between total cost spent and keycaps number. Because that's the order CHANGE deadline, not the place an order deadline.